Funny businessman manager makes selfie phone. 4k00:27Man in glasses speaking video chat on smartphone sitting in armchair. hd00:08Serious man hiding behind a white mask. He remove the mask and show a happy smile. 4k00:16Businessman in a shirt and big headphones, singing in a smartphone, uses an application. 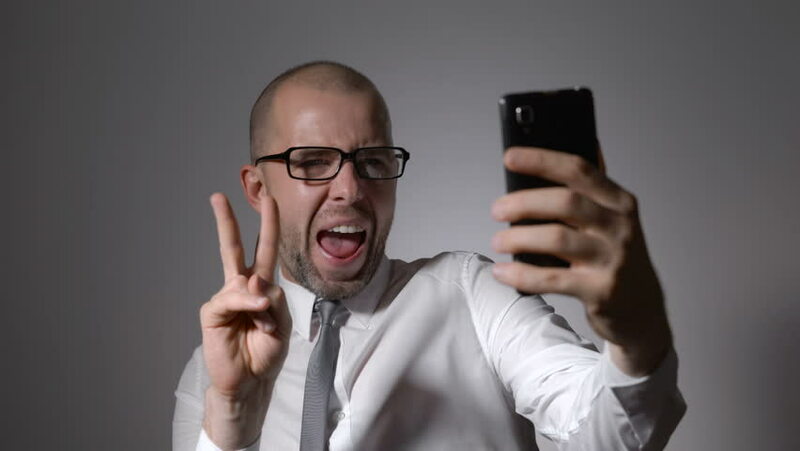 4k00:24A businessman or a middle-aged manager in glasses holding a smartphone in the hands and prints in social networks or using a mobile application. 4k00:16Adult bald man wearing home clothes is assembling furniture in the apartment. 4k00:18Concept, digital online life and social networks. A young man in a blue T-shirt uses his smartphone to view his accounts. Animation shows likes, comments, subscriptions, reposts. 4k00:13Handyman using drill to install mechanism for new blinds. 4k00:11Man assembling new furniture at home alone.